Indigo Fields - The master bedroom is also on the first floor and has a beautifully updated bathroom with large shower, vanity and walk-in closet. MLS#19011552. The Real Estate Firm. Convenient access to I-526, I-26, School of the Arts, and Academic Magnet make this a great location for many buyers. MLS#19011601. The Pulse Charleston. Please have clients verify to their satisfaction. MLS#19011600. Re/Max Pro Realty. Waylyn - You can get this home for an amazing price and finish things up. MLS#19011527. Bhhs Southern Coast Real Estate. Two tiled baths have been refreshed, including new vanities, mirrors, shower door MLS#19011502. Intercoast Properties, Inc.. Stainless appliances including gas range, built in microwave, and dishwasher. MLS#19011458. Re/Max Pro Realty. Indigo Palms - Community is close to everything and you will be hard pressed to find a home with this many options for this price! MLS#19011491. Re/Max Alliance. 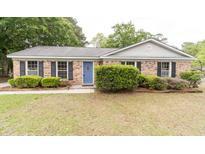 Centrally located, and close to shopping, restaurants, and I-26! Don't miss this one! MLS#19011477. Homegate Real Estate. Atrium in home, Large vaulted ceiling in family room. A must see! MLS#19011342. Carolina One Real Estate. The Timbers - The master suite is located on the 1st floor with its own en-suite bathroom with a jetted tub and is also complete with the wood flooring that ties the entire 1st story together. MLS#19011335. Keller Williams Realty Charleston. Last but not least....there is an RV/Boat gate and NO HOA!! ! MLS#19011429. Keller Williams Realty Charleston West Ashley. With the way prices have gone up MLS#19011439. Carolina One Real Estate. Charleston Farms - Buyer to verify any and all information deemed necessary. MLS#19011441. Re/Max Pro Realty.